Cirque du Soleil's latest production Totem is bringing its tented extravaganza to Charlotte. 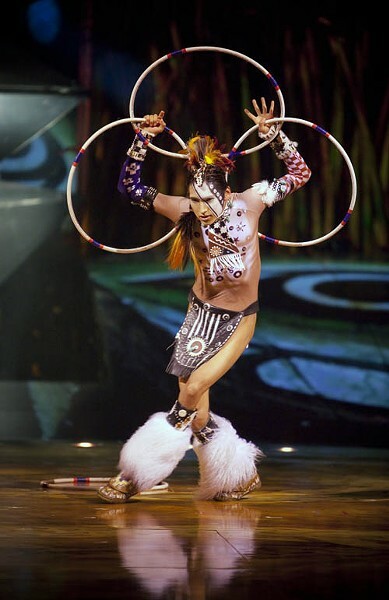 The show — which mixes theatrical and circus-like elements — contains an assortment of skilled acrobats (including ring tossers, tapeze artists, unicyclists, jugglers, skaters and more) and animals. But it's not all about showing off those moves. Its main theme centers around the evolution of mankind from a primordial state. A range of thought-provoking myths and music is dispersed throughout the performance to enhance a magical sort of feel. $50 and up. 8 p.m. Continues though March 20. Charlotte Motor Speedway, 5555 Concord Parkway South, Concord. www.cirquedusoleil.com/totem.